In 2002, the lower (trial) court found for Buono and ordered the Park Service to remove the Mojave Cross. On appeal, the Ninth Circuit Court of Appeals (Ninth Circuit) agreed with the lower court, affirming the conclusion that “the presence of the cross on federal land conveys a message of endorsement of religion,” and permanently enjoined the government from maintaining the cross on federal land (Buono v. Norton, 2004). The Park Service prepared to remove it. Meanwhile, in 2001, the U.S. Congress prohibited the use of federal funds to remove the cross (Consolidated Appropriations Act, 2001). Then, in 2002, the Mojave Cross was designated a national memorial (Department of Defense Appropriations Act, 2002). [v] Congress again prohibited the use of federal funds to remove the cross (Department of Defense Appropriations Act, 2003). And, finally, Congress transferred one acre of land, on which the Mojave Cross sits, to the Veterans of Foreign Wars with the requirement that if it ceased to be a war memorial the land would revert to the federal government (Pub. L. No. 108-87, 2003). [vi] The Ninth Circuit concluded that this last move was merely an attempt to circumvent the constitutional violation and thus stopped the transfer (Buono v. Kempthorne, 2007). The Department of Justice appealed this latter decision to the U.S. Supreme Court, arguing that the government would have to tear down a “memorial.”[vii] The VFW filed an amicus brief arguing that if the Ninth Circuit’s opinion were to be affirmed, memorials in national cemeteries would have to be removed, including the Argonne Cross and the Canadian Cross of Sacrifice at the Arlington National Cemetery (Veterans of Foreign Wars et al., 2009). In contrast, the Jewish War Veterans of the United States filed an amicus brief arguing that the Mojave Cross is “a profoundly religious Christian symbol,” rather than a universal commemorative symbol of war dead, and that the federal government’s actions toward the cross and adjoining land underscores, rather than remedies, its endorsement of that religious symbol (2009, p. 5). The Supreme Court decision in Salazar v. Buono was announced April 28, 2010. The Court chose to narrow its consideration to the validity of the land transfer, ruling 5-4 that the transfer did not constitute a violation of the original injunction. The Court also remanded the case back to the lower court to decide whether or not the land transfer constituted an “illicit governmental purpose” (Salazar v. Buono, 2010, pp. 1819-21). In narrowing the grounds for the decision in this way the Court left unresolved many of the questions that are raised by the presence of any cross on federal land, no matter how remote. Nevertheless, the written opinions of the Justices strayed far beyond the narrow confines of the decision itself, addressing many of the arguments used for and against the land transfer, the significance of the memorial, and its propriety. This paper will examine the Mojave Cross case to explore the argumentative connection between religious symbols and public memorials. Our argument is that war memorials, such as the Mojave Cross, constitute a classical enthymematic (visual) argument that the U.S. Supreme Court attempted to silence by altering the space containing the memorial (or argument), thereby secularizing the memorial and stripping it of its (religious) meaning. We begin with histories of the legal precursors to the case and the generic evolution of war memorials, illuminating the contested nature of memorializing. Next, we use the Mojave Cross case to examine how monuments function as arguments, articulating three premises: that physical space is a key argumentative factor in memorializing; that placement in and ownership of the space serve as the memorial’s “voice” or marker of intent; and that this spatial context aids in negotiating the secular/religious dichotomy. The policy implications raised by this case are significant, for both past and future memorializations and for legal arguments that can be made regarding the relationship of the individual to the state in matters of religious observance. What appears to be a relatively simple case on its face opens up a broad range of significant theoretical issues fraught with complicated legal and commemorative significance. The First Amendment to the United States Constitution provides that “Congress shall make no law respecting an establishment of religion, or prohibiting the free exercise thereof” (U.S. Const. amend. I.). These prohibitions are referred to, respectively, as the Establishment Clause and the Free Exercise Clause. Specifically, the Establishment Clause prevents the government from promoting or affiliating itself with any religious doctrine or organization (County of Allegheny v. American Civil Liberties Union, 1989, pp. 590-91), or from having an official preference for one religious denomination over another. “Government in our democracy, state and national, must be neutral in matters of religious theory, doctrine and practice” (Larson v. Valente, 1982, p. 244). The Establishment Clause has been used to challenge religious prayer in public schools and Christmas displays on government property, among other issues. Supreme Court jurisprudence has fluctuated on whether the Establishment Clause demands complete separation of religion and government or, alternatively, whether it simply commands non-preferential accommodation of religious speech and symbols. This ambivalence has resulted in a number of legal tests that are used to determine whether a specific government symbol violates the Establishment Clause. Among the criteria are whether the symbol advances or inhibits religion, whether a reasonable observer of the display would perceive a message of governmental endorsement or sponsorship of religion, and whether there is a perceived coercive effect. Recently, the Supreme Court employed a “passive monument” test, which inquired whether a plainly religious display conveyed a historical or secular message, as opposed to a religious message, in a specific non-religious context (Van Orden v. Perry, 2005). The identity of the speaker matters tremendously under First Amendment jurisprudence. “[T]here is a crucial difference between government speech endorsing religion, which the Establishment Clause forbids, and private speech endorsing religion, which the Free Speech and Free Exercise Clauses protect” (Santa Fe Indep. Sch. Dist. v. Doe, 2000, p. 302). In Pleasant Grove City v. Summum, the Court addressed the speech of government owned monuments in particular: “government-commissioned and government-financed monuments speak for the government” because “persons who observe donated monuments routinely – and reasonably – interpret them as conveying some message on the property owner’s behalf.” Whether the government commissions, finances, or displays a memorial on its own land, “there is little chance that observers will fail to appreciate the identity of the speaker” (2009, p.1133). Similarly, Justice Stevens, dissenting in Capitol Square Review & Advisory Bd. v. Pinette, observed, “[T]he location of the sign is a significant component of the message it conveys” (1995, p. 800). These two cases not only instantiate the notion of monuments in general as government speech, they also serve as precedent for the Mojave Cross case, illustrating that, even as a national monument, the cross engaged in a form of government speech. The question then should be the propriety of using a universally Christian symbol to “speak” for the government on behalf of all veterans of World War I. The sponsorship of war memorials has been a major area of controversy, involving veterans groups, state and federal organizations, and most recently, public insistence on private donations. However, according to architectural historian Teresa B. Lachin, “between 1880 and 1915, veterans groups and patriotic organizations were among the most active sponsors of monument crusades,” when newly established groups such as the American Legion and the Veterans of Foreign Wars became effective lobbyists for state and local projects (pp. 21, 44). In 1923, the U.S. Congress created the American Battle Monuments Commission, which “established official commemorative standards for military monuments built on battle sites and federally-owned property” (Lachin, p. 32). Differences in opinions over the appropriate design of the war memorials arose as the result of a general shift in architectural style away from a legacy of Civil War memorializing, conflicted feelings over U.S. participation in World War I, and a focus on overseas memorializing at notable battlefield sites. “Religious images and Christian symbols were…commonly used to express the ideals of ‘sacrifice,’ collective heroism, and the ‘sacred vocation’ of military service, themes which had emerged in Europe and America in the early twentieth century,” and these spiritual dimensions of military service were embraced strongly by sponsoring veterans groups (Lachin, p. 32). The lack of symbolic universality implied by the cross was a consideration during World War I. Sectarian, yet inclusive, forms of religious symbolism occurred in gravesites of American war dead across Europe, which employed “spacious fields of uniformly lined American crosses” along with “intermittent Stars of David headboards [which] marked the dead of the Jewish faith” (Budreau, p. 120). Even then, the aesthetics of different sectarian grave markers led U.S. Army Chaplain Charles C. Pierce to recommend in July 1919 a standardized grave marker, similar to U.S. battlefield cemeteries and devoid of religious symbolism (Budreau, p. 122). At the end of World War I, returning veterans, as well as the U.S. government, were initially more concerned with overseas memorializing. They wanted to make certain battlefields and cemeteries were properly marked and commemorated; stateside commemoration of World War I veterans was left largely to state and local organizations. Thus it is not surprising that veterans organizations and local community leaders “preferred traditional designs because they were familiar and even reassuring symbols of ‘sacrifice’ and fraternal or civic duty” as well as the fact that “vernacular designs…were among the most affordable and readily available monument types” (Lachin, p. 45). Moreover, “local and community groups were more limited in their economic resources and generally used traditional and vernacular designs to honor their ‘World War’ veterans” (Lachin, p. 42). King argues in his book about World War I memorials in Britain that, “the common purpose amongst all who commemorated the dead was…expressed in their recognition of the sanctity of memorials”; and the most straightforward artistic convention to mark the memorial as sacred “was the use of the cross, recognizable both as the sacred symbol of Christianity and as, by the early twentieth century, a common form of grave marker, more especially the typical marker used during the war to identify the graves of soldiers” (1998, pp. 230, 231). King also notes that “the process of transformation through which traditional forms acquired connotations relating them specifically to the recent war [World War I] was most conspicuous in the case of the cross” (p. 129). In 1921, Charles Jagger, a British sculptor and World War I veteran, proclaimed that the cross “has been, and probably always will be the symbol of the Great War” (in King, p. 129). Indeed, the VFW members who erected a memorial in the Mojave Desert employed exactly this symbol. And it is the presence of the cross specifically that drives this case, complicated by the National Park Service’s refusal to allow a Buddhist shrine to share space with the cross. This raises the question of what it is the cross represents – a war memorial or something more (or less)? There is no question it was originally intended to be a memorial to dead comrades-in-arms at the time that it was erected by returning war veterans. [viii] Yet the Mojave Cross was erected on federally owned land, without the express permission of the government. By declaring the Mojave Cross a national memorial (while the appeal was pending), Congress further complicated the case, thereby raising the question of whether one can nationally memorialize private speech without endorsing the message. The identity of the speaker is also tied to space when the issue is a religious artifact on federal land. How is space negotiated in memorializing? What is being memorialized; is it the event or the war dead? Public memorializing such as the Vietnam Veterans and World War II Memorials undergo complex vetting processes that explicitly consider First Amendment issues and multiple audiences. Privately created shrines such as the Mojave Cross are personal, driven by grief and an immediate connection with the dead, and while they may hold symbolic meaning to a wider audience, they are not necessarily created for that audience, nor are they beholden to the religious neutrality that the federal government is expected to undertake. Thus, when the Mojave Cross was declared a national memorial in 2002, its religious symbolism became a significant problem with regard to public memorializing. Classical commemorative architecture, used for many memorials, embraced signs which are “self-referential and limited to a closed system of legitimate signifiers” (Blair et al., 1991, p. 266) and which can consistently be decoded by audiences familiar with both the sign and signifier [e.g., the cross]. Yet the reliable interpretation of a sign is tied to the viewer’s understanding of its conventions – or “agreement about how we should respond to a sign” (Crow, 2003, p. 58) – and “habits and conventions may of course change over time” (Kurzon, 2008, p. 288-289). As social symbols, “war memorials are not endlessly rigid and stable. Their significance has to be continually defined and affirmed by manifestation of the relevant sentiments” (Barber, 1949, p. 66). Such reaffirmation is made difficult in this case since there is no longer a plaque to identify the cross as a war memorial. When the signifiers change in meaning, or when the linguistic community changes, then war memorials, like other symbolic forms, change or lose their meaning: “[T]here are a large number of memorials from previous wars which have lost their meaning for the present generation” argues Barber (p. 66). Especially when considering the relationship between the symbolic and the aesthetic, “the aesthetic aspect of the memorial place or object must not offend those who want their sentiments symbolized” (Barber, p. 67). In the increasing religious pluralism of late-20th to early-21st century America, a symbol with such religious specificity as a Latin cross violates this commemorative expectation when declared a national symbol of the war dead. We contend that the message conveyed by war memorials in general, and the Mojave Cross in particular, is not only government speech, but an argumentative claim about how to view both the war and the war dead. Recent Supreme Court precedent supports this view (see Capitol Square Review and Advisory Bd. V. Pinette, 1995, and Pleasant Grove City v. Summum, 2009). Indeed, the recognition that monuments make an argumentative claim is the underlying assumption of the rulings on government speech. The essence of the Establishment Clause is to preclude the argumentative nature of government speech surrounding religious symbols on government property. If the symbol is not argumentative, there can be no violation of the Establishment Clause. Smith (2007) explains how monuments and other visual symbols work argumentatively, once Aristotle’s notion of the enthymeme is understood in its classical sense of a “syllogism based on probabilities or signs” (p. 121). Smith notes, “Enthymemes consist not only of logical propositions, expressed or implied, but also of appeals to emotions and character. For Aristotle, these modes of appeal are very closely related because even an emotional response requires reasoned judgment…” (p. 120). Successful enthymemes identify with the “common opinions of their intended audiences” (Smith, p. 120). Those who create visual enthymemes [e.g., war memorials and monuments] discover these common opinions in the culture and in the immediate context of the memorial, “incorporating them into their messages” (Smith, p. 120). Birdsell and Groarke (1996) contend that commonplaces – culture-specific grounds of potential agreement between speakers and audiences – are not limited to verbal arguments; rather, visual commonplaces argue just as verbal ones do. Thus, according to Smith, a ‘speaker’ – whether government or private citizen – who “creates images that identify with an audience’s common opinions can be said to be arguing” (Smith, p. 121). However, these “common opinions” take many forms and have more than one side, which, in a visual argument, are not presented. The inability of visual arguments to depict multiple sides of an argument does not mean these opposing sides do not exist; they are simply not articulated (Blair, 1996; Smith, 2007). The Supreme Court explicitly acknowledged this argumentative characteristic of memorials when it rejected the idea that “a monument can convey only one ‘message’”; indeed, a public memorial “may be intended to be interpreted, and may in fact be interpreted by different observers, in a variety of ways” (Pleasant Grove City v. Summum, 2009, pp. 1135, 1136). Thus, the argument occurs enthymematically through the form and placement of the memorial. Foss (1986) elaborates this notion in her essay on persuasive facets of the Vietnam Veteran’s Memorial, arguing that the number of messages a memorial can convey is limited by the creator’s intent and the material features of the display, thereby diminishing or eliminating any interpretive ambiguity. The form of this particular memorial – the Latin cross – significantly lessens the variety of ways it may be interpreted, adding to its argumentative power. Similarly, the placement of the cross on federal land (or surrounded by federal land) shapes the viewers’ understanding of the speaker in this instance. The Supreme Court has acknowledged the relationship between form and surroundings when determining an Establishment Clause violation. In a case questioning the display of the Ten Commandments on the grounds of a local courthouse, Justice Scalia argued that, in combination with other symbols, a statue in the form of a tablet depicting the commandments would be interpreted as a religious icon, but would be read in conjunction with the other legal images present so that the viewer would understand the symbol’s “argument” – namely that Judeo-Christian commandments undergird American law (McCreary County v. American Civil Liberties Union of Ky., 2005). However, as noted above, no contextual or supporting visual cues exist with the Mojave Cross. Indeed, the sign that originally identified the cross as a war memorial was lost over time and was never replaced. Thus, it is unreasonable to expect an observer to “read” the enthymematic argument in the way the Court describes; it is just as likely to be read as government endorsement of a particular reading of a religious artifact. Writing the plurality opinion in Salazar, Justice Kennedy asserts that the observer should consider the intent of those who placed the cross on Sunrise Rock to “honor fallen soldiers,” rather than “concentrat[ing] solely on the religious aspects of the cross, divorced from its background and context” (p. 1820). Yet Kennedy’s assertion is problematic, when considered against standards of visual argument. Foss (1986) argues that a signifier cannot be devoid of material meaning – its form suggests meaning – and is central to the viewer’s understanding of the meaning of the artifact, through the enthymematic process. The iconic form of the Latin cross enthymematically reflects both the Christian attitudes of the VFW members who placed it, as well as the shared attitude of the people who took active steps to save it – namely, Congress. Thus, we argue, the Christian message is in large part their story, not simply the local VFW’s story. Justice Stevens made this point in his dissent when he suggested that, post-transfer, the message is even clearer, because after being enjoined from displaying it, Congress transferred the land specifically for the purpose of preserving the display (Salazar, p. 1832-33). Such confusion of meaning stems from the duality of voice that comes from commemorative sites in general. Such sites put forth two dramas: “One story… is ‘its manifest narrative – the event or person heralded in its text or artwork.’ The second is ‘the story of its erection or preservation’” (Balthrop, Blair, and Michel, p. 171). Part of the dispute over the meaning of the Mojave Cross comes from the duality of its voice, as the plurality and dissenting opinions in Salazar diverge along the lines of these narratives. The plurality opinion, written by Justice Kennedy, asserts that the proper way to read the Mojave Cross is to consider its manifest narrative, spoken in the voice of the veterans who constructed it. Seen this way, the cross was placed with the intent to “honor fallen soldiers,” and “although certainly a Christian symbol, the cross was not emplaced on Sunrise Rock to promote a Christian message” (Salazar, 2010, p. 1816). Using this reading of the Mojave Cross, Kennedy asserted that Congress was only attempting to preserve the manifest narrative of the commemorative site by transferring the land into private ownership. Now that the Mojave Cross is in private hands, concurred Justice Scalia, the only question that matters is whether that manifest narrative is legal. Justice Stevens considers the second story – the story of the site’s preservation – in his dissent in Salazar. Stevens argues that when “Congress passed legislation officially designating the ‘five-foot-tall white cross’…‘as a national memorial commemorating United States participation in WWI and honoring the American veterans of that war,’… the cross was no longer just a local artifact; it acquired a formal national status of the highest order” (Salazar, 2010, p. 1834). This means that, for Stevens, changing the scene of the Mojave Cross does not change the voice: “Once that momentous step was taken, changing the identity of the owner of the underlying land could no longer change the public or private character of the cross. The Government has expressly adopted the cross as its own” (Salazar, 2010, p. 1834). 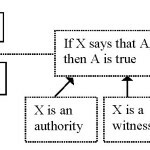 In focusing on the first story, the Court attempts both to freeze contemporary readings of the Cross in the [interpreted] voice of the original authors, “made whole” in the plurality’s mind when the land was transferred to private ownership, and to ignore the changes to the symbol made by the second story – the one of its preservation. Palczewski and McGeough (2010) argue persuasively, however, that “public memorializing is not a simple process of fixing history. What is memorialized is not a given, and in the process of memorializing particular public arguments are advanced. This explains why ‘public memorials become sites of ideological struggle whenever they seek to shape and direct the past, present, and future in the presence of competing articulations’” (p. 33). Congress had several options in dealing with the Mojave Cross controversy: it could have allowed other religious symbols to be added; it could have changed the memorial to more clearly reflect the stated message or to avoid the sectarian message; or it could have allowed the cross to be removed, as was Park Service policy. Instead, the actions performed by the federal government in relation to the Mojave Cross included: denying a petition to place a Buddhist shrine next to it; passing an act to declare it a national memorial; passing a separate act to forbid the removal of national memorials commemorating World War I (of which there is only one – the Mojave Cross); and, finally, transferring the land to private owners under the condition that they keep the land as a war memorial or else forego their property rights. This story of preservation is not only remarkably active – it also highlights the significance and strategic use of space in defining the “voice” of the memorial. Key to the Mojave Cross case, and to memorializing in general, is the sense of space. Unlike other war memorials employing religious symbolism, the Mojave Cross sits on land that holds neither spatial or historical connection to the war, nor to the soldiers that its builders commemorated. The only significance provided by the space, then, is its ownership. This fact renders the space surrounding the cross fungible, a feature that has been key to this controversy. We argue here in support of the following observations: first, that physical space is a key element of memorializing; second, that the secular/religious dichotomy is negotiated by the symbol’s spatial context; and finally, that the “voice” or intent of the symbol is tied to the geography and ownership of that space. The lack of physical space memorializing World War I veterans was significant, because, as we note above, post-war memorials either focused on overseas battlefields or on utilitarian “living memorials,” usually in the form of named highways or auditoriums. The functional, living memorials of the post-World War I era United States “could not fulfill the human desire for monumentality and ‘the need of the people to create symbols which reveal their inner life, their actions and their social conceptions’” (Lachin, p. 47). Furthermore, “physical objects and places are almost always required for the localization of the memorial symbol…[and] most war memorials implicitly recognize this social function of physical space” (Barber, p. 65). The presence of crosses marking war dead also changes the argument made by a memorial. In the context of a military cemetery – rows and rows of markers on a battlefield – the cross becomes secularized, marking sacred space sanctified by the blood of the fallen. The cross as gravestone marks an already sacred space, and serves as a sign for the site of a dead soldier. The cross-as-grave-marker is not generally interpreted as intending to promote Christianity to the viewer; rather, it serves as an indicator of the place of rest for an individual’s remains, and potentially of that person’s religious belief – just as Stars of David adorn the gravesites of Jewish war veterans. Thus, in most instances when religious symbols are used, they are the symbol of the referent – the “sacred” ground of the battlefield or cemetery, where the blood of the war dead consecrated the space. But in this case, the reverse has occurred – it is only the presence of a commemorative cross that makes this space sacred. The current fight in the Mojave Cross case is over the land, and the only thing that makes this land different than anything around it is the cross: it holds no other commemorative significance. As Donofrio points out in her analysis of the World Trade Center attack site, “contestations over place, memory, and identity give rise to questions over who possesses the authority to direct place-making. When multiple parties claiming place-making authority advance conflicting conceptions of place, space can become a site of protest or campaign advocacy” (p. 153). Palczewski and McGeough (2010) assert that “the interrelation between… memorials and the sacred deserves special consideration. Within the United States, ‘[b]y and large, patriotic space is sacred space…’ and memorials, in particular, are ‘fundamentally rhetorical sacred symbols’” (p. 25). Assuming the intent of the creators posited by the Court, the Veterans of Foreign Wars built the Mojave Cross to sacralize an otherwise unremarkable space, with the goal of commemorating their comrades-in-arms. Maoz Azaryahu, a geography scholar who studies the intersection of urban landscapes and memory, argues that this act, in itself, can render the land sacred: “authentic expression of popular sentiments, …anchored in specific traditions of popular culture,” can indeed form a “sacred ground” through “unregulated public participation” (1996, p. 503). A “spontaneously constructed memorial space… exudes the sacredness with which the place is invested by the community of mourners,” argues Azaryahu – “as long as it belongs to the local landscape” (p. 503). This only holds true for as long as the public brings meaning to the memorial space through ongoing public participation in the specific traditions, however. When those traditions fade or were nonexistent to begin with, or when the space no longer belongs to the “local landscape,” then, “by virtue of their very physical location, those war memorials are unsuited to their essential purpose” (Barber, p. 66). Implicit in Barber’s argument is the assumption that as goes the land, so goes the voice. When the memorial space is cared for privately, the cross is “authentic expression,” a commemorative symbol of fallen brethren. However, its location on (or surrounded by) vacant federal property attended to by the National Park Service regulates both the message and the scene of the symbol. It regulates the message because, when land is federal, the religious symbol “speaks” with a federal voice. Furthermore, Congressional action removed the spontaneity and unregulated public participation crucial to the commemorative meaning of the space, thus replacing any remnant of the public commemorative voice. The subsequent attempt to make the land private was an attempt to return the Mojave Cross to its original meaning. It could not: the meaning had changed because the scene had changed. And without the scenic link to the original meaning, all that remains, symbolically, is a Latin cross, whose Christian exclusivity offends twenty-first century pluralist sensibilities. Congress attempted to change the status of the space in order to change the voice. Faced with the application of the Establishment Clause, and recognizing that the cross on federal land was inappropriate whatever its purpose, Congress chose to transfer the land in order to quiet the perception of the federal voice endorsing a religious artifact. Similarly, the Supreme Court limited its decision to the space, namely the land transfer, for the same reason and because space can be controlled, whereas perceptions cannot. While it is true that the appeal challenged the land transfer, the Court was not limited to a narrow judgment on that issue alone. Certainly the government’s case was more broadly cast, opening the door for the Court to rule on the propriety of such memorializing, or even on the propriety of religious symbols on federal property. Instead, the Court elected to decide only the narrow question of the propriety of the land transfer as it related to the original injunction. In taking this approach the Court avoided having to rule on the presence of the cross. Faced with a persuasive argument for an Establishment Clause violation, the Congress and the Supreme Court together created a situation where the only solution they saw was to try to accommodate both sides by making no decision on the propriety of the cross on government land, allowing the land transfer and arguing that, even so, the cross is a permissible symbol of war sacrifice. Thus, they manipulated space to alter voice in order to accommodate – whom? To silence the argument made by the memorial? In the process, they attempted to secularize the cross, removing its religious meaning and substituting a secular, albeit patriotically sacred, message. 4. Where Does This Leave the Establishment Clause? To argue that something violates the Establishment Clause of the U.S. Constitution would seem to be a fairly straightforward task. The Court has developed a number of tests to determine whether something is a violation. Yet the argument, as it has evolved, is not so simple. Despite its guarantees of religious freedom, the United States essentially sees itself as a Christian nation that accommodates other belief systems. The Court cannot be unmindful of public opinion and it has, in recent years at least, trod carefully the margin between protected speech, government speech, and accommodation of religious symbols. In this case, the Justices diverged from one another on the question of the cross and the argument(s) it makes. Justice Alito, for example, argued that since the cross is not speaking in a government voice, therefore it is not propositional, thereby vitiating the Establishment claim. Alito ignores Court precedent in making what is, essentially, a circular argument. Justice Stevens, on the other hand, argued that Congress gave the cross a federal voice by making it a national monument, using federal money to maintain it, then prohibiting the use of federal money to remove it. Such actions would seem to support the claim of a violation of the Establishment Clause. In the end, though, the Court’s plurality opinion narrowly circumscribed the grounds for the debate to technical issues, without addressing the propriety of turning the Mojave Cross into a national war memorial and then ensuring its continued existence in private hands. Less than two weeks after the Supreme Court issued its decision, the Mojave Cross – which had been covered by pieces of plywood during the litigation proceedings – was stolen from its place on Sunrise Rock. On May 11, 2010, the Barstow Desert Dispatch, a local newspaper, posted an article describing correspondence they had received about the cross. The author claimed to know the thief, and explained that the cross was “moved…lovingly and with great care…[and] has been carefully preserved” (2010, online). The author claimed that the person who removed it was a veteran who intended to replace it with a non-sectarian monument because both the “favoritism and exclusion” of the cross and the governments efforts to keep it in place violate the Establishment Clause. More specifically, the thief was offended by Justice Kennedy’s assertion that the Latin cross represented all World War I veterans, an argument which “desecrated and marginalized the memory and sacrifice of all those non-Christians that died in WWI” (Desert Dispatch, 2010). “We as a nation need to change the dialogue and stop pretending that this is about a war memorial,” argued the writer: “If it is a memorial, then we need to …place a proper memorial on that site,…one that is actually recognizable as a war memorial” (Desert Dispatch, 2010). Local commentators blamed atheist activists. Then, on May 20, a new Latin cross was placed on Sunrise Rock – which the Park Service promptly took down, as it violated the ongoing injunction. Most of the coverage of these events came from either Christian or atheist newspapers and websites, revealing a continuing focus on the religious, not the commemorative, symbolism of the Mojave Cross. Separated from a battlefield or military cemetery, the Latin cross loses its contextual referent to wartime. In order for a war memorial to have meaning to an audience other than the ones who created it, it “‘must simply, and powerfully, crystallize the loss of life and urge us to remember the dead’” (Balthrop et al., p. 176). To do otherwise renders the memorial’s symbolism “culturally illegible as a marker of the event it commemorates” (Balthrop et al., p. 176). All that the “reasonable observer,” to borrow the Court’s parlance, is left with is a Latin cross, the conventional meaning of which is a sign of Christianity. And because it has been declared a national memorial, the conclusion of the enthymeme is that the federal government endorses and protects the Latin cross as a national symbol. Moreover, the symbolic force and conventional stability of the cross cannot be overridden by verbal claims to the contrary: “The cross cannot take on a nonsectarian character by congressional (or judicial) fiat,” argued Justice Stevens in the dissent. “Making a plain, unadorned Latin cross a war memorial does not make the cross secular. It makes the war memorial sectarian” (Salazar, 2010, p. 1835). [i] A Latin cross consists of a vertical bar and a shorter horizontal bar at right angles to each other. The Mojave Cross is between five and eight feet tall and is made of four-inch diameter pipes painted white. [ii] The Mojave National Preserve, operated by the National Park Service, is located in southeastern California. It encompasses nearly 1.6 million acres (approximately 640,000 hectares) between the cities of Barstow, California, and Las Vegas, Nevada. The Preserve is primarily federally owned land with approximately 86,600 acres of the land in private hands and another 43,000 acres belonging to the State of California (Buono v. Norton, 2002). [iii] Since 1935, the cross has been a gathering place for Easter Sunrise services; visitors have also used the site to camp (Buono v. Norton, 2002). [iv] The Establishment Clause prevents the government from promoting or affiliating itself with any religious doctrine or organization (County of Allegheny v. American Civil Liberties Union, Greater Pittsburgh Chapter, 1989), or from having an official preference for one religious denomination over another (Larson v. Valente, 1982). To survive an Establishment Clause challenge, a government symbol must (1) have a secular purpose, (2) have a primary effect that neither advances nor inhibits religion, and (3) does not foster excessive state entanglement with religion (See Lemon v. Kurtzman, 1971). [v] Congress designated the cross and its adjoining land “a national memorial commemorating United States participation in World War I and honoring the American veterans of that war.” (Department of Defense Appropriations Act, 2002). The Secretary of the Interior was directed to expend up to $10,000 to acquire a replica of the original cross and its memorial plaque and to install the plaque at a suitable nearby location. §8137(c). After it was declared a national memorial, the Mojave Cross became the only national memorial specifically dedicated to World War I. [vi] The land was transferred to the Veterans Home of California – Barstow, VFW Post 385E, in exchange for a parcel of land elsewhere in the Mojave National Preserve. See Pub. L. No. 108-87, (2003). [vii] The district court stated “Buono is deeply offended by the cross display on public land in an area that is not open to others to put up whatever symbols they choose. A practicing Roman Catholic, Buono does not find a cross itself objectionable, but stated that the presence of the cross is objectionable to him as a religious symbol because it rests on federal land.” Buono, 212 F. Supp. 2d at 1207. [viii] “The cross was erected in 1934, 60 years before Congress created the Preserve [although it owned the land]. Photos show the presence of wooden signs near the cross stating, “The Cross, Erected in Memory of the Dead of All Wars,” and “Erected 1934 by Members Veterans of Foregin [sic] Wars, Death Valley Post 2884.” The wooden signs are no longer present, and the original cross, which is no longer standing, has been replaced several times by private parties since 1934” (Buono v. Norton, 2002). [ix] The Cross of Sacrifice, or “War Cross,” was developed by Sir Reginald Blomfield of the Imperial War Graves Commission, based on the shape of the Latin cross but including the shape of a bronze sword, turned downward. A Cross of Sacrifice stands in the U.S. Arlington National Cemetery to honor the Canadian war dead of World War I (King, pp. 128-129). Aune, J.A. (1999). Three justices in search of historical truth: Romance and tragedy in the rhetoric of Establishment Clause jurisprudence. Rhetoric & Public Affairs, 2(4), 573-597. Azaryahu, M. (1996). The spontaneous formation of memorial space. The case of Kikar Rabin, Tel Aviv. Area, 38(4), 501-513. Barber, B. (1949). Place, symbol, and utilitarian function in war memorials. Social Forces, 28(1), 64-68. Birdsell, D. and Groarke, L. (1996). Toward a theory of visual argument, Argumentation and Advocacy, 33, 1-10. Balthrop, V.W., Blair, C., and Michel, N. (2010). The presence of the present: hijacking ‘The Good War’? Western Journal of Communication, 74(2), 170-207. Blair, C., Jeppeson, M.S., and Pucci, Jr., E. (1991). Public memorializing in postmodernity: The Vietnam Veteran’s Memorial as prototype. Quarterly Journal of Speech, 77, 262-288. Budreau, L.M. (2010). Bodies of War: World War I and the Politics of Commemoration in America, 1919-1933. New York: New York University Press. Buono v. Norton, 212 F. Supp. 2d 1202 (C.D. Cal. 2002). Buono v. Norton, 371 F.3d 543 (9th Cir. 2004). Buono v. Norton, 364 F. Supp. 2d 1175 (C.D. Cal. 2005). Buono v. Kempthorne, 502 F.3d 1069 (9th Cir. 2007). Capitol Square Review & Advisory Bd. v. Pinette, 515 U.S 753 (1995). Consolidated Appropriations Act, 2001, Pub. L. No. 106-554, § 133, 114 Stat. 2763A-230. County of Allegheny v. American Civil Liberties Union, Greater Pittsburgh Chapter, 492.S.573 (1989). Crow, D. (2003). Visible Signs: An Introduction to Semiotics. Worthing/West Sussex, UK: AVA Publishing. Donofrio, T.A. (2010). Ground Zero and place-making authority: the conservative metaphors in 9/11 families’ ‘take back the memorial’ rhetoric. Western Journal of Communication, 74(1), 150-169. Department of Defense Appropriations Act, 2002, Pub.L 107-117, §8137(a), 115 Stat.2278. Department of Defense Appropriations Act, 2003, Pub. L. No. 107-248, § 8065(b), 116 Stat. 1551. Foss, S.K. (1986). Ambiguity as persuasion: The Vietnam Veterans Memorial. Communication Quarterly, 34(3), 326-240. Jewish War Veterans of the United States of America, Inc. as Amicus Curiae supporting Respondent. (2009, August 3). Filed in Salazar v. Buono, No. 08-472. 2009 WestLaw 2406367. Kahn, P.W. (1987). The Court, the community and the judicial balance: The jurisprudence of Justice Powell. Yale Law Journal, 97, 1-60. King. A. (1998). Memorials of the Great War in Britain: The Symbolism and Politics of Remembrance. Oxford, UK: Berg. Kurzon, D. (2008). What do the ten commandments do? A study of lawyers’ semiotics. Semiotica, 172-1/4, 279-297. Lachin, T.B. (1993).War and Remembrance: The War Memorial As Cultural Artifact. Doctoral dissertation, University of Maryland. College Park, MD. Lyotard. J-F. (1984). The Postmodern Condition: A Report on Knowledge. G. Bennington and B. Massumi (Trans.). Minneapolis: University of Minnesota Press. Mills, N. (2004). Their Last Battle: The Fight for the National World War II Memorial.New York: Basic Books. McGee, M.C. (1990). Text, context, and the fragmentation of contemporary culture. Western Journal of Speech Communication, 54, 274-89. Olsen, L.C., Finnegan, C., and Hope, D.S. (2008). Visual Rhetoric. Los Angeles: Sage. Palczewski, C.H. and McGeough, R. (2010). Counter-monument as counter-argument: The ndian Memorial at Little Bighorn (Unpublished article). University of Northern Iowa. Pineda, R.D. and Sowards. S.K. (2007). Flag waving as visual argument: 2006 immigration demonstrations and cultural citizenship. Argumentation and Advocacy, 43, 164-174. Pleasant Grove City v. Summum, 129 S. Ct. 1125 (2009). Pub. L. No. 108-87, R. 12.1, 12.4 § 8121(a)-(f), 117 Stat. 1100 (2003). Salazar v. Buono, 130 S. Ct. 1803 (2010). Santa Fe Indep. Sch. Dist. v. Doe, 530 U.S. 290 (2000). Smith, V.J. (2007). Aristotle’s classical enthymeme and the visual argumentation of the twenty-first century. Argumentation and Advocacy, 43, 114-123. Transcript of Oral Argument. (2009, October 7). Salazar v. Buono, No. 08-472. 2009 WestLaw 3197881.